← Great Websites for Parents! 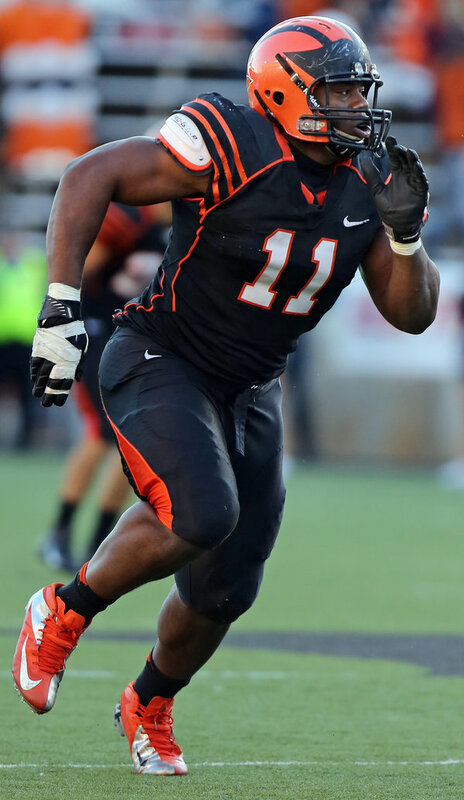 Caraun Reid, a December 2013 Princeton graduate, is a two time All American and an N.F.L. prospect who some predict could become Princeton’s highest draft pick in over 30 years. As reported in a recent New York Times article found here, Reid, a 305 pound defensive tackle who didn’t play organized football until his freshman year in high school, isn’t just a talented football player awaiting his fate in tomorrow’s draft. He is also a talented singer, who regularly performed with a Princeton a cappella group; a musician who had regular gigs with his jazz band (he plays guitar and drums); a gospel singer and an executive board member of the campus ministry program. Small wonder that one of his challenges as he headed into draft season was convincing scouts that he was sufficiently serious about football. But his stellar performance in a pass rushing academy and the Senior Bowl convinced them that he was N.F.L. material. Reid’s parents, both immigrants from Jamaica, encouraged their son to maintain balance in his life by combining athletics with music, schoolwork and worship. His father, Courton Reid, explained, “We believe in that — we believe our children should be well-rounded. We’d say you never know what could be your niche.” Good advice for life, and refreshing to hear in a world where athletic boys are trained to be singularly focused on their sport from an early age. Hope things go well for him in tomorrow’s draft. 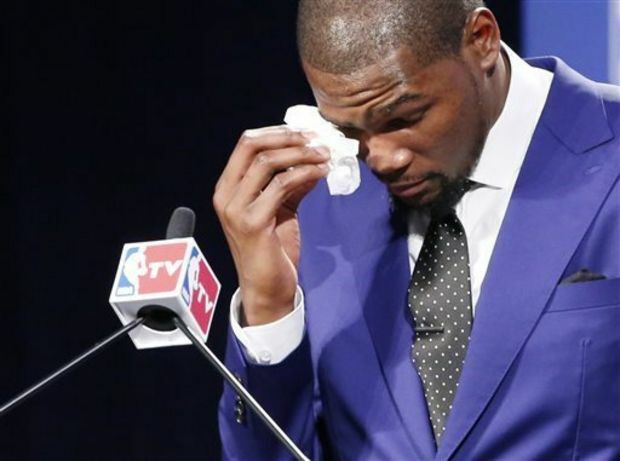 Grab a box of tissues and your son and watch Durant’s speech as he accepts the league’s Most Valuable Player Award. Not only does he give a heartfelt personalized shout out to each of his teammates, he saves the highest praise for his mom, thanking her for the many sacrifices she made to raise him and his brother, and calling her “the real M.V.P.”. Great speech from a thoughtful young man with some good home training. You can watch the long-but-worth-it speech here.